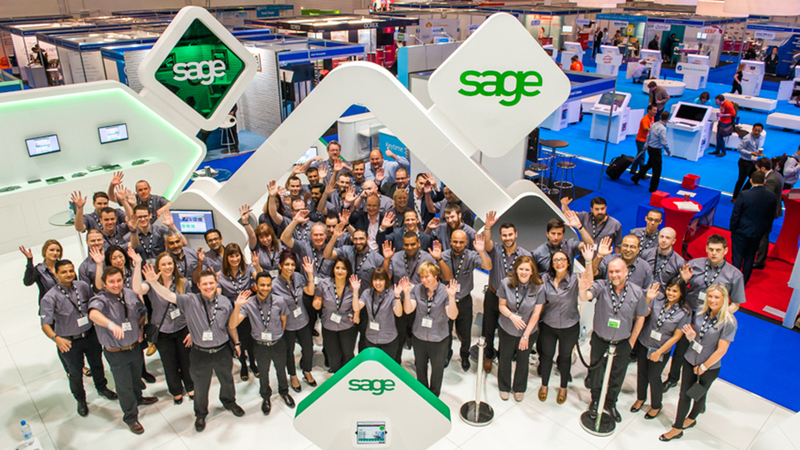 We made Sage the talk of Accountex with a double decker exhibition stand that boosted their social media mentions and generated nearly 400 qualified sales leads. 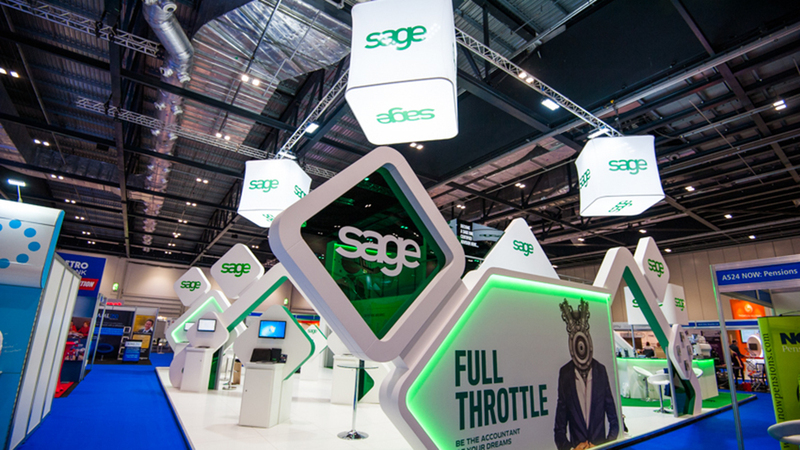 A year earlier, we had helped Sage leave a lasting impression on audiences at Accountex with a stunning interactive experience that wowed the Financial Services industry. 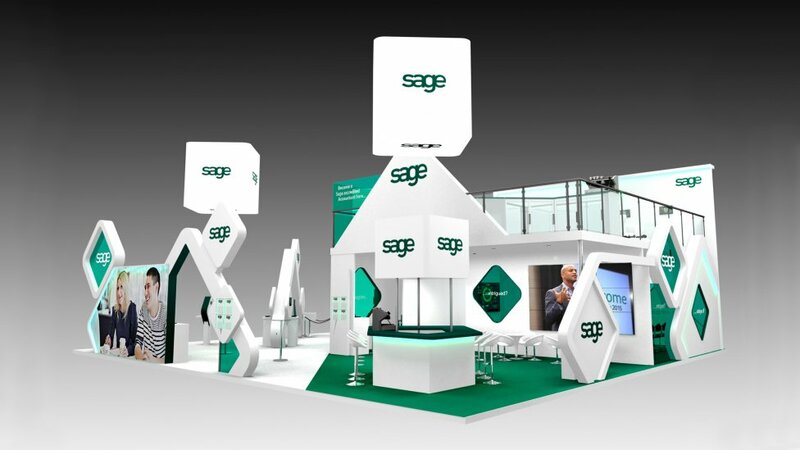 Sage was so pleased with the response the previous year’s stand had received, that they asked us to come up with something even bigger and better to solidify its position as the market leader. When you’ve totally dominated the show, where else do you go? Our answer – up! 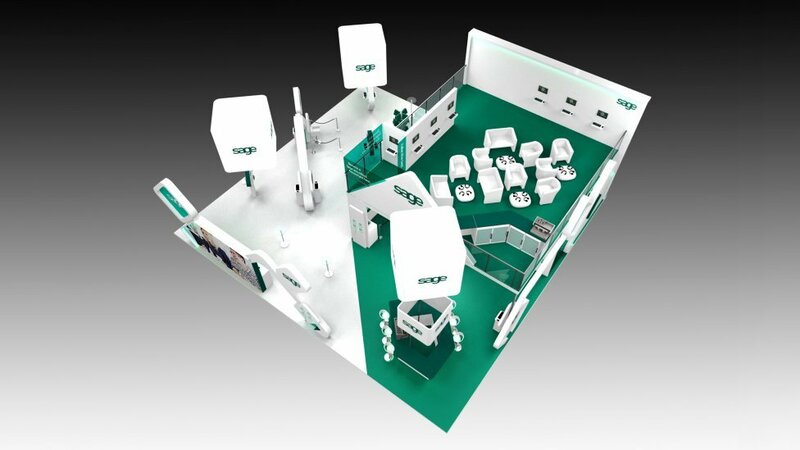 – with an innovative double decker exhibition stand design. 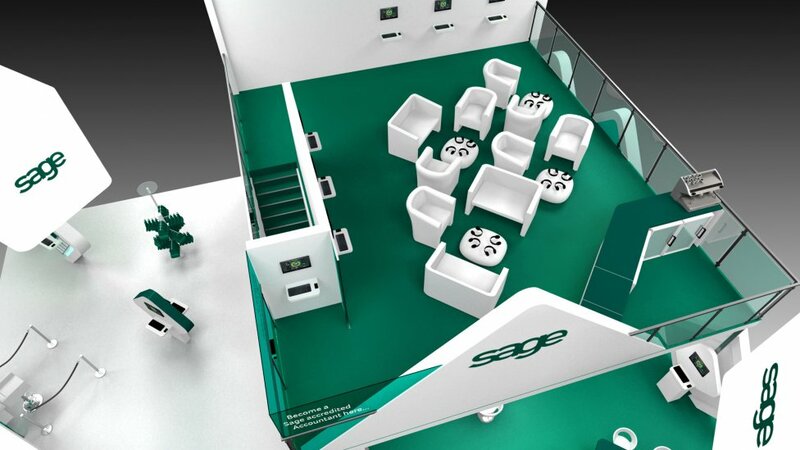 The competition was already responding by investing in more space, so our creative team changed the game by arranging for Sage to have the only two-storey stand at Accountex. 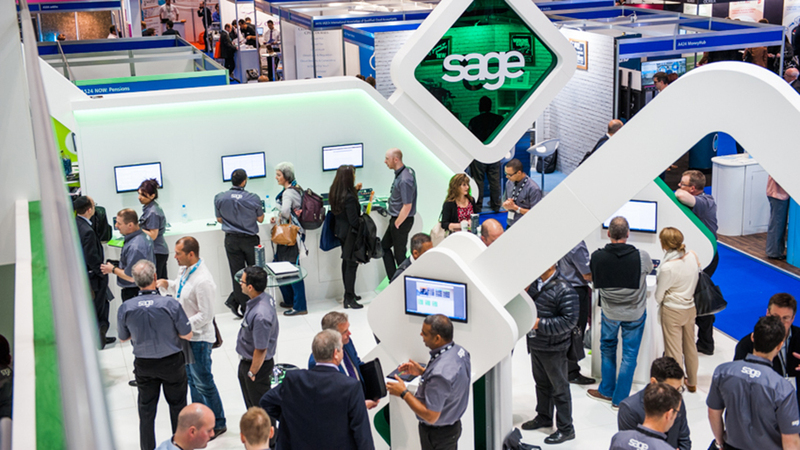 Featuring a larger demo area with 17 interactive iPad and PC stations, the stand offered visitors a chance to engage with Sage specialists, or try out the accounting software on their own. 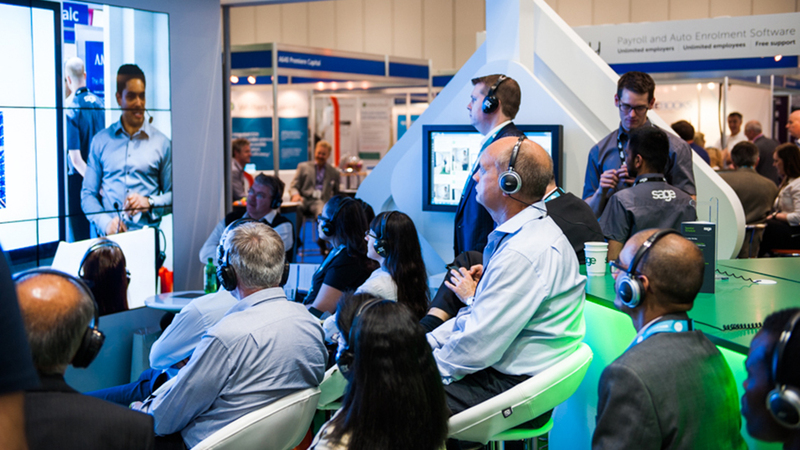 Keynote speeches by industry experts were shown throughout the day in the 42-person seminar theatre, as well as being broadcast on video walls around the booth. For a more relaxed atmosphere, guests could network and chat in the coffee lounge, or pick up one of the numerous wireless headsets around the stand to plug into the presentations or seek out information about individual products. Select attendees were invited to pre-register for access to the VIP area on the upper deck where Radio Frequency Identification (RFID) was employed at entrances and exits. The technology treated delegates to a personalised experience – they were greeted by name at the door, with their preferred drink waiting for them at the VIP champagne bar. 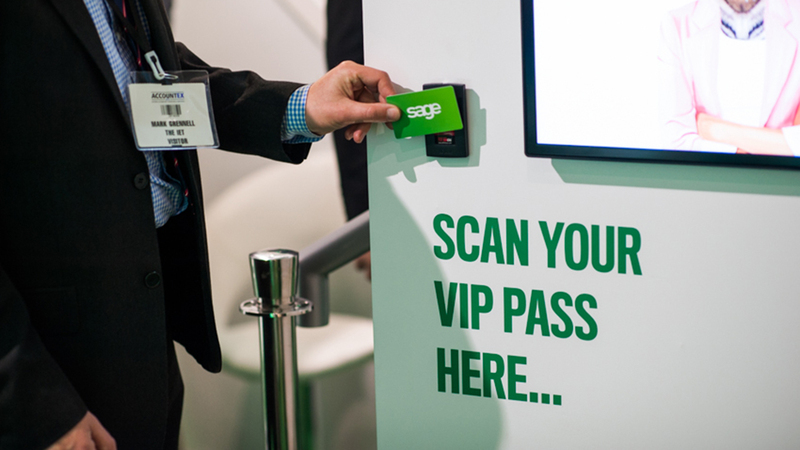 On exit, VIPs used the RFID to select what Sage products they were interested in, what information they wanted to receive and what follow-up method they preferred – increasing engagement and delivering a wealth of information for the company’s marketing and business development teams. 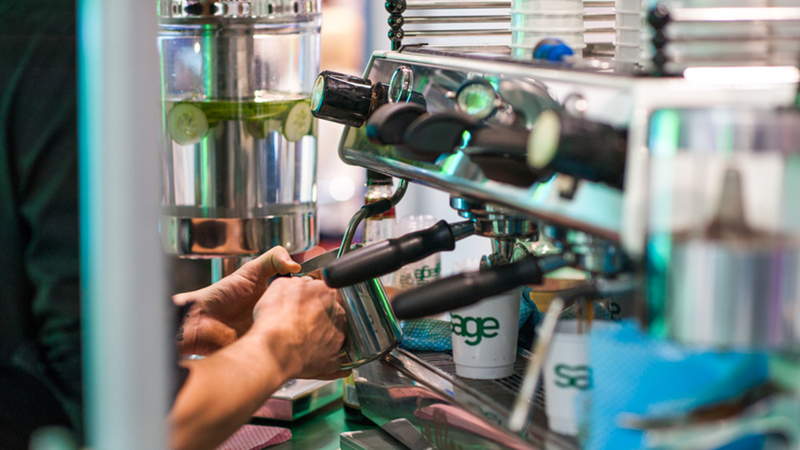 The stand once again made Sage the talk of Accountex and generated 395 qualified sales leads. It also increased relevant social media activity on Sage’s Twitter account by 1,184% and generated a 389% increase in re-tweets about the product. 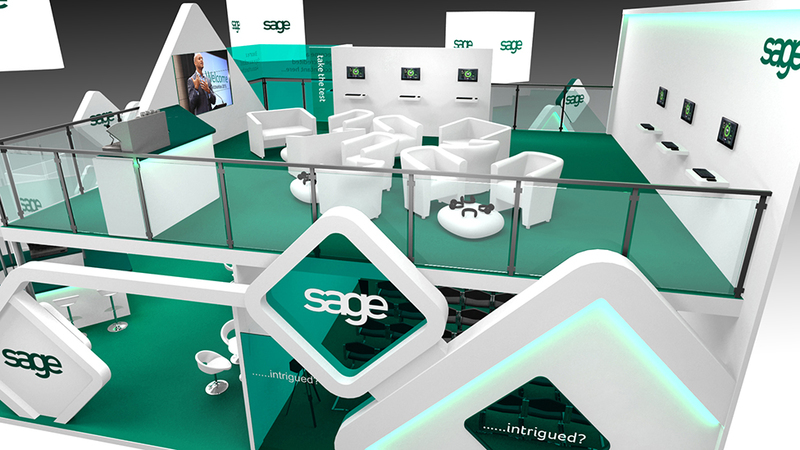 As part of the stand we designed for Sage, we included an exhibition content hub with a huge range of insightful materials. Engaging content creation contributed to an overall better experience for visitors, who left the stand with information curated by themselves and tailored to their needs. Our client, who offers a cloud-based human resources service, likes to do things differently. 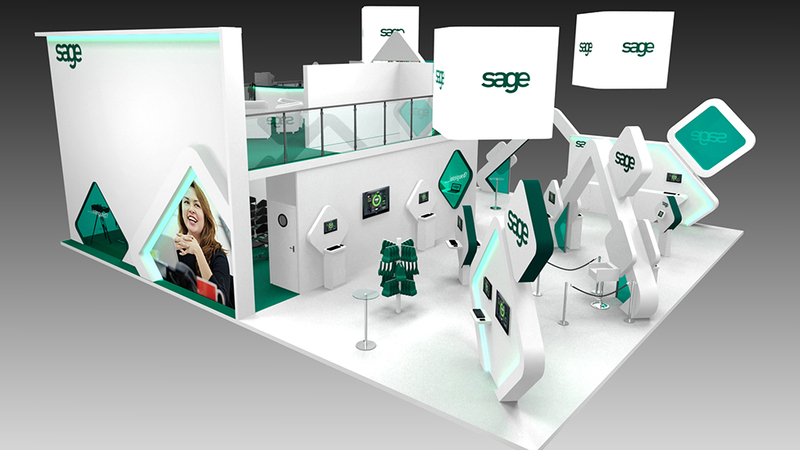 BrightHR asked us to create a vibrant exhibition stand design to match their energy and goals. We created a standout beacon that was awarded best stand at the CIPD event.